“God’s got this. God’s got this.” He died several days ago and yesterday I had the opportunity to conduct his funeral right here at Fellowship. His last words, “God’s got this, Ed.” He’s got it. He’s got it. What were the last words of Jesus? Have you ever just thought about that? The Son of God, fully God and fully man, what were his final thoughts? What was going through his mind? What was heavy on his heart? The last words of Jesus. Just for a second I want you to use your imagination and picture Jerusalem outside of the Damascus gate. And in fact, we will be traveling to the Holy Land. Lisa and I are leading a trip this Thanksgiving. You can talk about cruises, you can talk about if you have a yacht or somewhere going to the Greek isles, no trip… no trip compares to going to the Holy Land. And I’ve had the opportunity to travel a lot. There is no trip like it. So I would implore you to go to the Holy Land with us. It’s going to be a lot of fun. “Whoa! Look at that crowd! Look at the mob coming this way.” And carrying the cross was a muscular black man, Simon Cyrene. He had the cross on his back and the crowd was yelling and cheering and in all stages of excitement and depression. And behind the cross was a sole, solitary figure walking, sometimes crawling, barely hanging onto life. His face was swollen where they’d plucked out his beard and beaten him. He was bleeding profusely. The crown of thorns, literally nails, they were like nails 6” thick. His skin was laid bare because of the whip and the whip back during this day had stones in it. He was beaten to an inch of his life. It was Jesus, that preacher from the north. And the Bible says that the Roman guards crucified him. Jesus, the Son of God, was crucified. The first phrase uttered by Jesus on the cross was a prayer to a holy God. “Father, forgive them.” The second, though, was a promise to a repentant sinner. “Today, you will be with me in paradise.” In this simple yet powerful promise, we find hope beyond helplessness and a future beyond futility. 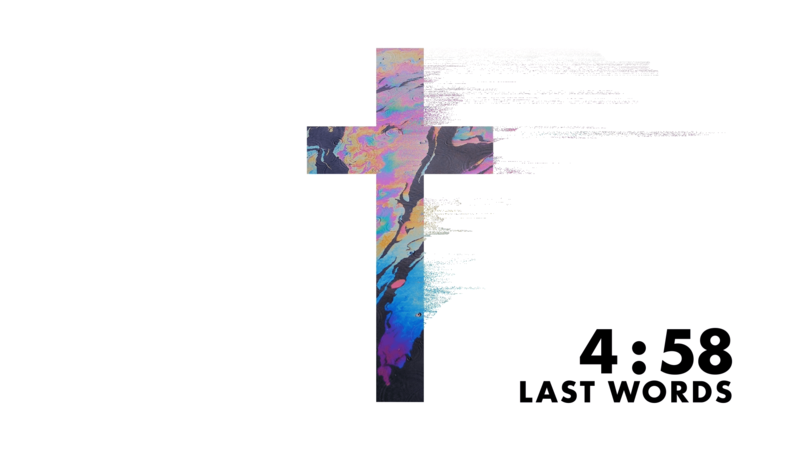 As Ed Young continues this study of Jesus’ last words, we realize that no matter how far away we may feel from God, we are all just one small step away from experiencing forever with Him … today. We decorate with crosses, and of course the cross is where Jesus did His redemptive work for our salvation. The cross, the cross, the cross. Then, during this time of year we talk about the crucifixion especially, we lean in and talk about the details, the nails, and just the sacrifice, and what Jesus was going through. 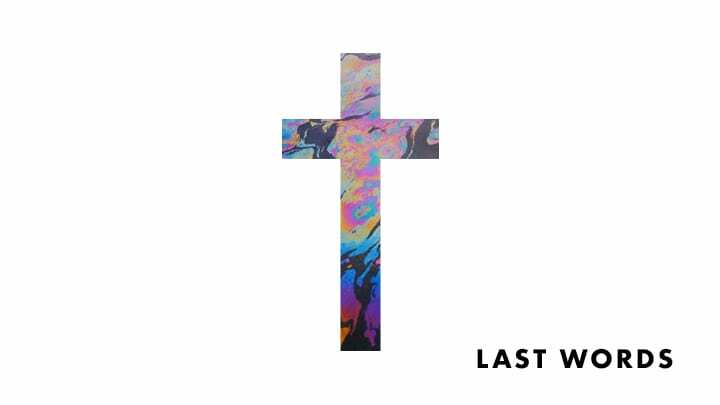 I'm in a series called The Last Words. It's very interesting when you talk to people, especially those who know their time is running out; it's very interesting when you think about their last words, is it not? Those words are powerful. So often they summarize their lives, so often they pretty much are a capsule of a person's existence. Other times, when people are taken out suddenly, their last words don't really mean that much. But Jesus, I mean, you're talking about His last words, they were something else. And in fact, they were so powerful, so amazing we're spending several weeks talking about them. Can you imagine that? These Roman soldiers, the death squad, they were doing just what they do. They were doing and being involved in the unforgivable. Yet, Jesus forgave them. Now that is, that's mind-blowing. “Forgive them,” Jesus said. Who is “them”? Well, Pilate, them; the disciples who bolted, them; the crowd, them; you and me. Because in reality, our sins nailed Jesus to the cross. So we learned last time that we need to forgive the unforgivable, because Jesus has forgiven you and me, and forgiveness is more so often for ourselves than it is for those who have hurt us. Well, today. I want you to go back to the cross, we're talking about the crucifixion. You know, we always talk about Jesus, we always talk about Him on the cross and we think, “Okay, there's one cross, Jesus. There's one crucifixion.” But what about the other guys? I mean, I don't know if you've thought about this very much, but there wasn't just one cross; there were three. Jesus was not the only one being crucified that day, there were two others. What about these cats? What about these guys? They don't get very much love, do they? No one really talks about the criminals, the gangbangers. And when I say criminal, I'm not talking about somebody that just is involved in cyber crime, or someone who just robs a convenience store. No, no, no. These guys were hardened, tough criminals. They were people who would kill, just to take something from someone. And obviously they knew each other. And as you read the tenor and the tone of the synoptic gospels, you see these guys, you know, kind of were partners in crime. They deserved the death penalty. This countdown clock is used to communicate the planned start time of the service for the series “Last Words” to the audience. Hanging on the cross between Heaven and earth, Jesus gave His final breath to speak His last words—words that have inspired, enlightened and transformed countless lives for generations. 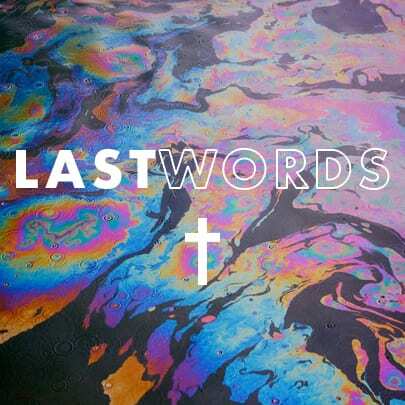 In this new series by Pastor Ed Young, we unpack the last words of Jesus and discover their profound ability to influence every aspect of our lives! In the most despairing moments in life, we often cry out with the most desperate pleas. Jesus, on the cross, was no different. In this message, LeeBeth Young looks at one of the most distressed cries from the cross – a cry of thirst. Through this most human of statements, we discover the powerful truth that God, who knows exactly what are going through, is closer to us than we may have realized! Every one of us comes from a family, whether it is a single parent home, a blended family, a traditional family, or something in between. In many ways, family defines our history, shapes who we are and sets us on a trajectory in life. 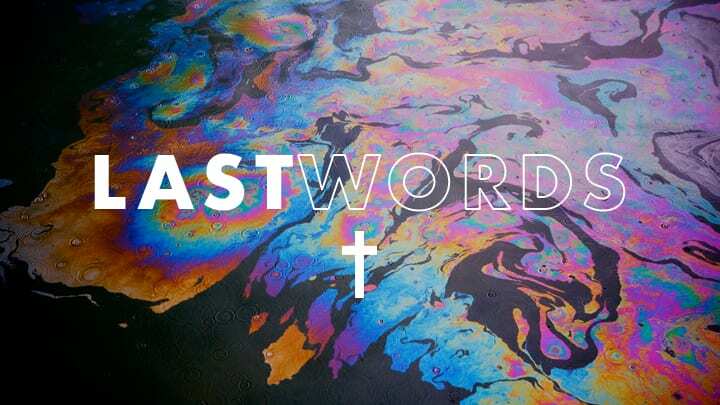 In this message, Derric Bonnot looks at some of the last words of Jesus and their focus on family. And he reveals to us the importance of lasting relationships, and how staying truly connected can help us get the most out of the life God has given us.